Day 1. After local pickups we travel south for our Channel crossing to Calais & our overnight stay at 3* Novotel Brussels. Day 2. After breakfast we board the coach & travel to Rudesheim, arriving at the hotel in the afternoon. You will have time to stroll along the Rhine promenade & explore the bustling historic streets with their stylish shops & cafes. Day 3. We have a boat cruise from Rudesheim to Boppard (approx 10:15 – 13:50 hrs). Following an afternoon of leisure in Boppard. Day 4. 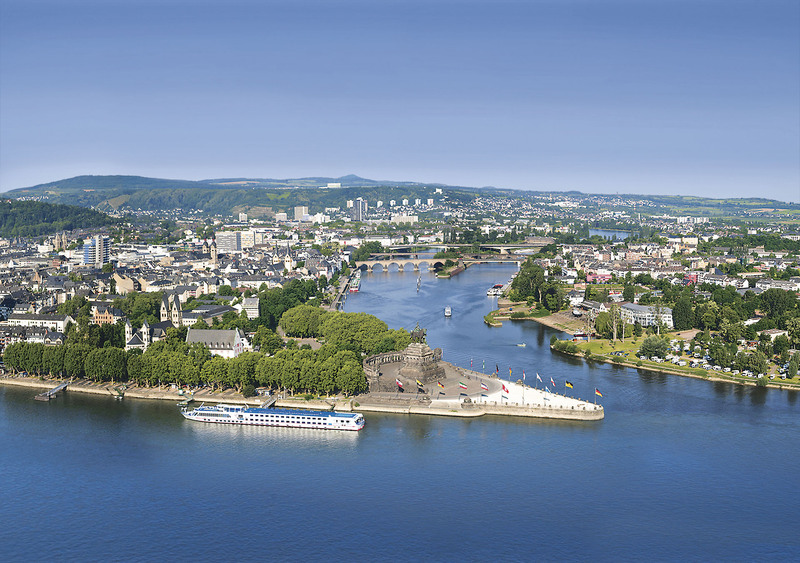 A full day excursion starting with a stop in Koblenz, where the Rhine meets the Mosel. Explore the town & visit German Corner before continuing west along the Mosel, stopping in the historic town of Cochem. Day 5. A day of leisure in Rudesheim. 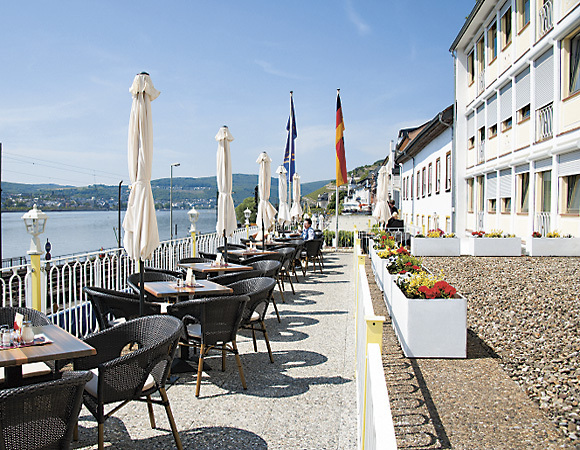 Visit the popular Drosselgasse & spend time along the banks of the Rhine watching the many trading vessels pass by. In the afternoon we arrange a visit to the Asbach Distillery. Day 6. A day exploring the Rhine, travelling through St Goarshausen & past the Loreley Rock. Day 7. After breakfast we depart Rudesheim & commence the journey to Brussels for our overnight stay. Day 8. Return through Belgium & France to cross the Channel back to the UK. Room service, Restaurant, Bar / Lounge, Mini bar, Cable/ Satellite TV, Bath, Hair Dryer, Shower. Location: 2kms from Brussels Airport. There is a small flight of stairs into the bright reception & open plan bar ( disabled access is via the basement). A lift seves all floors & well maintained guest bedrooms are all with private facilities & TV. All rooms have a kettle & a small charge is made locally for the provision of tea & coffee. Buffet breakfast is served with a selection of hot & cold items. Dinner is with a 3 course menu. A set menu is served on arrival day & on the following nights there is a choice of courses.